The order came when it was supposed to; packaged well and the product (butterfly weed) was in good condition. The roots were in very good condition. 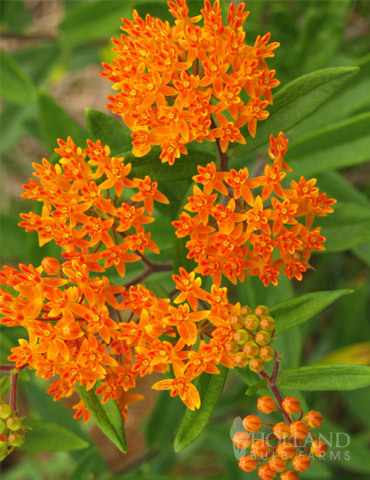 I ordered a butterfly weed last season to try it in an area of full sun and minimal watering. By late summer, it had beautiful orange flowers that lasted for weeks. So this winter, I ordered several butterfly weed plants to put in that area. When I received them this spring, the roots were healthy and so far all are showing signs of growth. I look forward to seeing how they look by August. And like most perennials, they will get more beautiful each season.